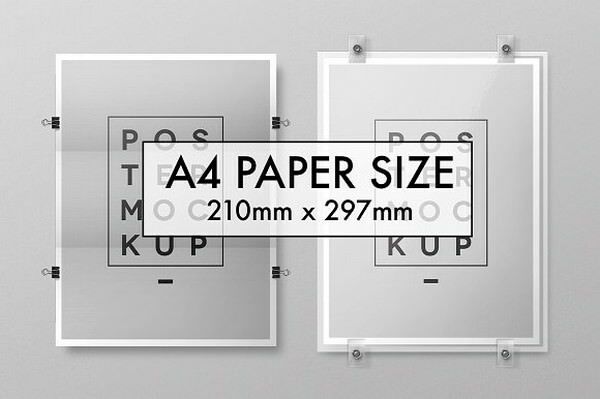 This unique, classy and attractive A4 paper size poster mockup is ideal for showcasing and presenting your creative A4 poster designs. It comes 7 different effects (new Crinkle Paper, new Simple Noise, Light, Dark, Shine, Glass Reflection, Folds), with five different kinds of backgrounds. Simple and easy, just replace the smart layer with your work and save – Enjoy!